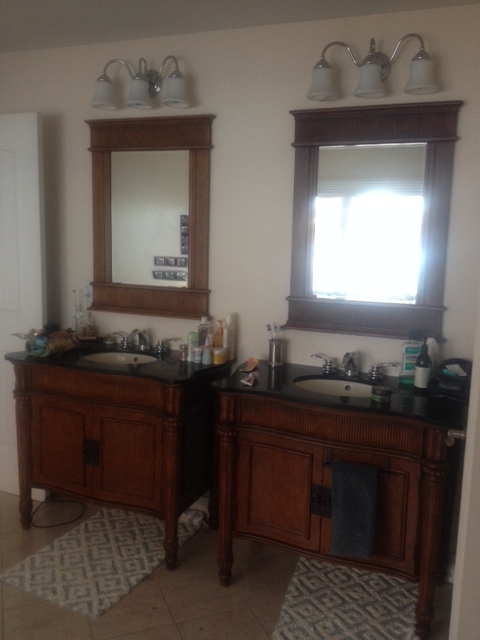 After living in their home for a few years, my clients decided to update their large Master Bathroom. They wanted the spacious room to be relaxing, and soothing with a spa-like feel. The current space was very beige with heavy, dark wood vanities and mirrors. It also lacked storage for the everyday items that ultimately end up on everyone’s countertops. The homeowner had one specific request: find the blue glass tile she had seen years before and fell in love with for her shower. Easy, right?!! In keeping with the budget, I chose to keep several elements in the space that were in good condition and invest in areas that would make the most impact, solve our function and storage problems, and provide the end result they wanted. Here is my list! Incorporate the gorgeous ocean views and colors outside the window into the newly created serene and calming space inside. 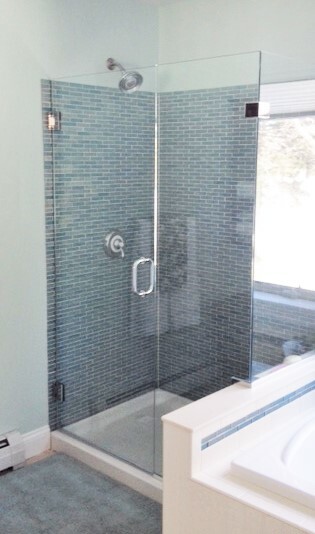 A frameless glass shower with gorgeous blue/green glass tiles in a brick pattern, was just what the homeowner wanted! 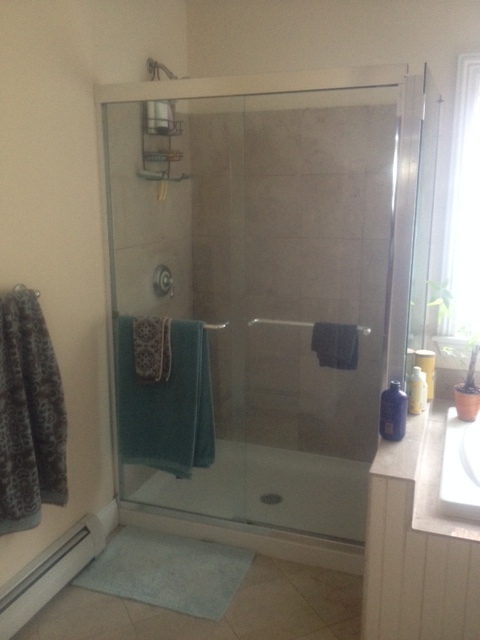 We also resolved all water and plumbing issues when tearing out the old shower. 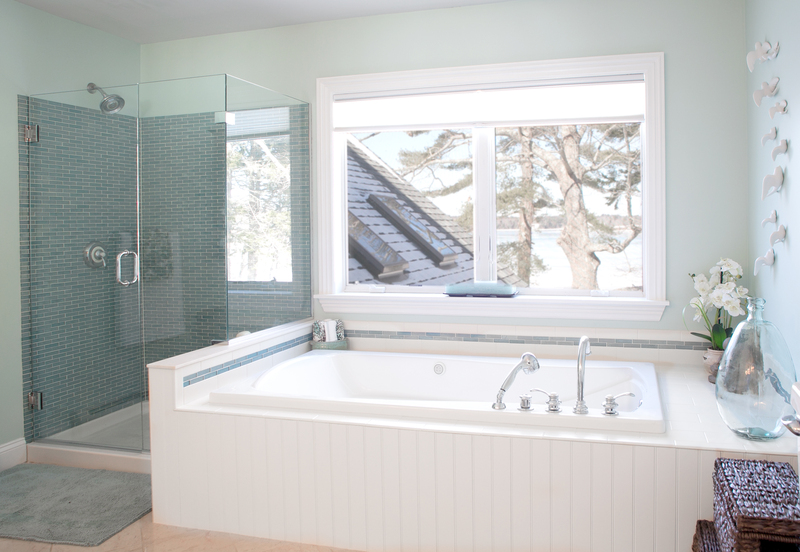 The same blue glass was added in a small accent detail around the tub decking and the original tub was set back in place. A simple 4″x8″ cream porcelain tile set in a brick pattern completed the area. 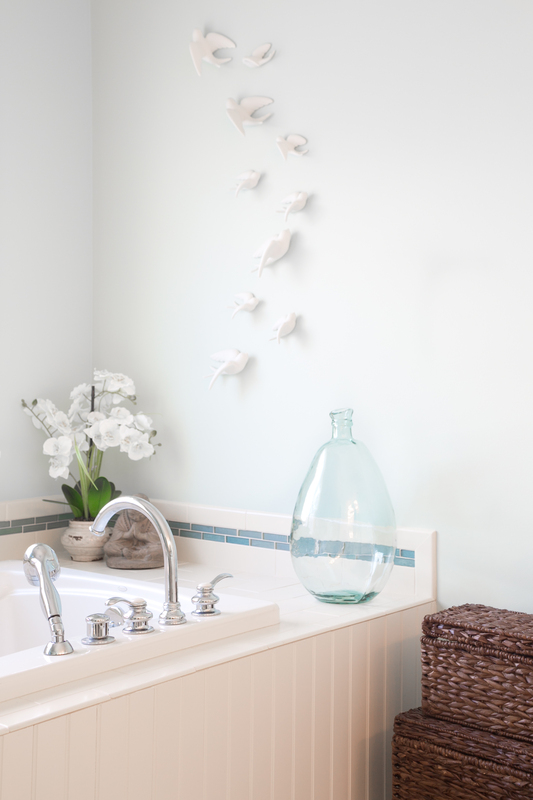 For artwork, I hung a “flock” of white porcelain birds in a pattern as if they were headed out to sea. The small Buddha is another accent used to reflect the homeowners personal style. A simple glass bottle, white orchid and dark stained seagrass baskets complete the look. The baskets also double as storage. I decided to keep the vanities and have them painted a soft creamy white. Paint along wih the new brushed nickel and glass hardware made a huge difference!! 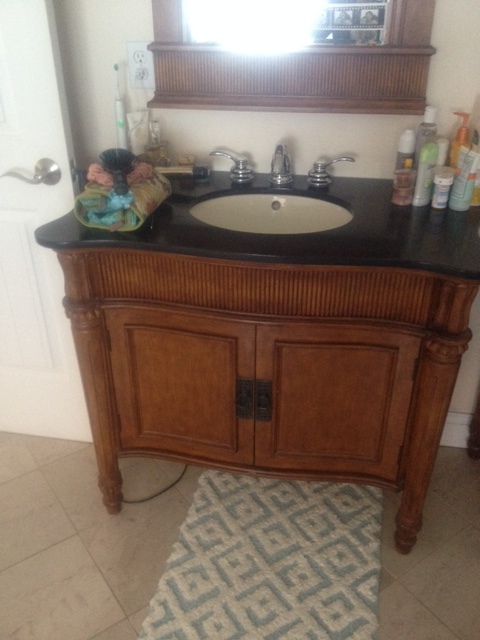 The vanities and countertops were in great condition so this step saved money in the budget. 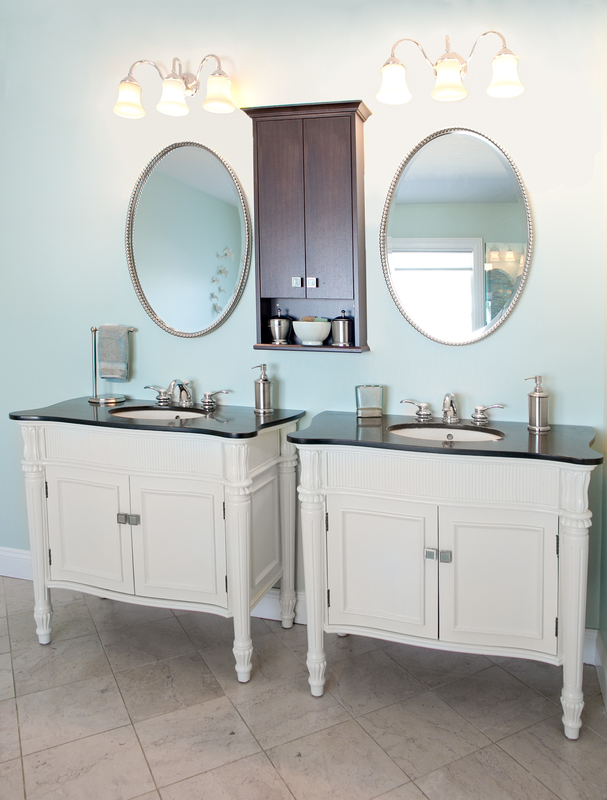 The mirrors were replaced with much smaller beaded, brushed nickel ovals. I designed a custom walnut storage piece for the space between the mirrors. The same hardware was used on the new cabinet. All daily necessities are neatly tucked away. A few brushed nickel accessories completes the look and function for this space. 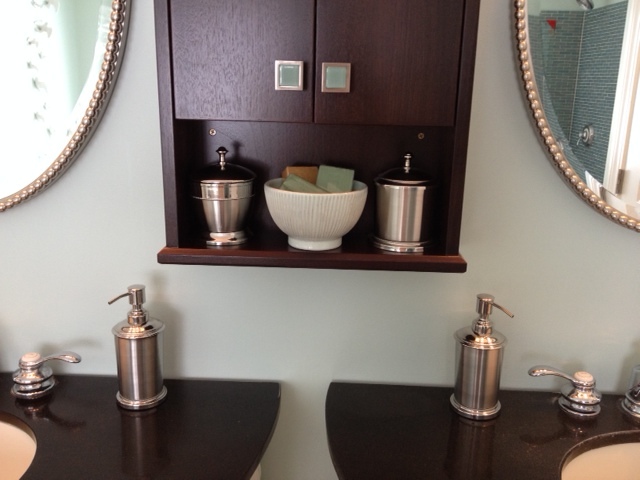 A second, open shelf cabinet was designed to be hung across from the shower. 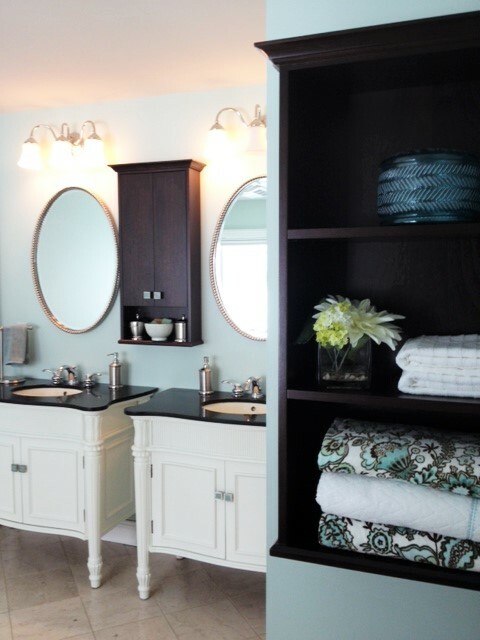 This piece brings the warm wood tones to this side of the room and provides additional, functional storage for the homeowners towels and accessories. Last, but definitely not least important is the paint color! This color set the stage for creating the look and feel we wanted. Paint can make such an amazing difference to a space. 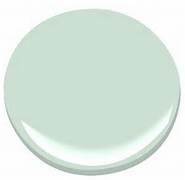 In this case, it provided the soft, watery blue-green color that we used as the basis for our entire palette. It changes throughout the day, but always looks serene and calm, just as its names states. 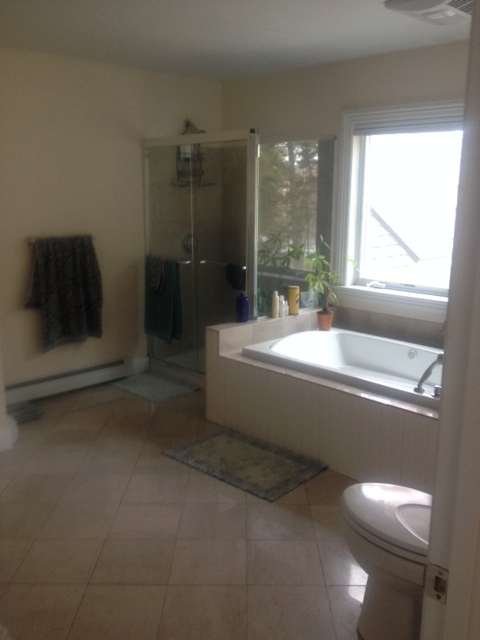 I hope you have enjoyed seeing this Master Bathroom transformation! I would love to hear your comments or feedback. If you are not already following The Good Home, please do so to see all of my projects! Think Spring and remember to Design*Decorate*Delight in your own home! 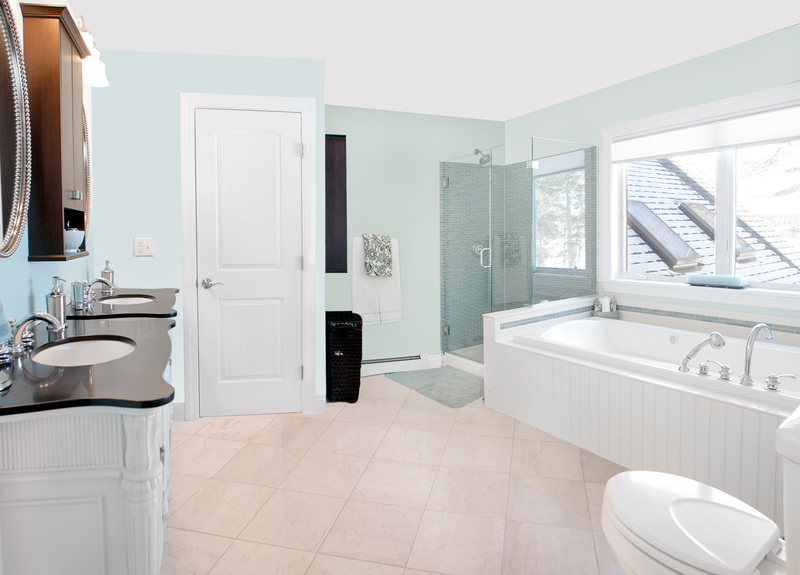 What a great renovation, I love the paint color and tile selection. The idea to repaint the vanities was a great idea. It really brightened up the space. Great job Lisa ! provide. It’s nice to come across a blog every once in a while that isn’t the same unwanted rehashed material.